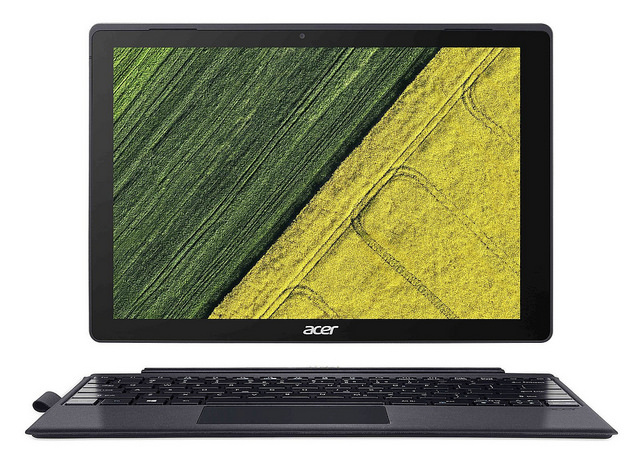 Announced for September 2017 , the Acer Switch 5 is finally entering the market with a first desktopmodel posted less than 1000 euros . 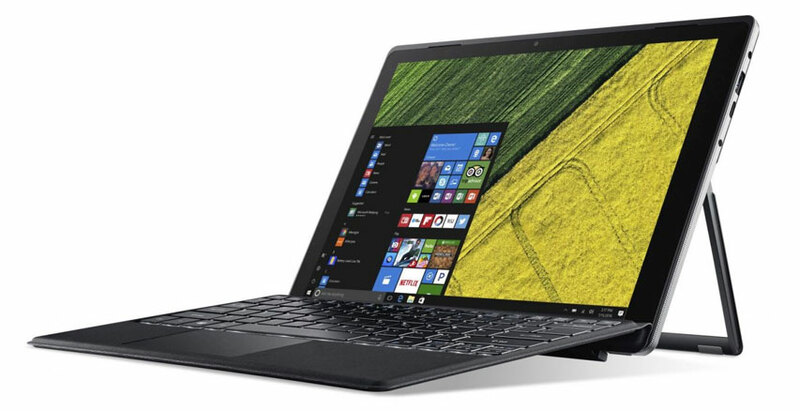 Armed with a beautiful 12-inch Quad HD IPS touch screen detachable, the Acer Switch 5 SW512-5252P-58EN comes in the form of a tablet with a kickstand and a removable backlit keyboard. It includes a Core i5 Kaby Lake, 8 GB of RAM and a 256 GB dedicated SSD. Also plan on an honest autonomy, a USB Type-C connection and a liquid cooling for a complete silence. This new Swift 5 can be easily compared to the older generation of Swift Alpha 12. Aesthetically, the latest version has almost the same codes: an aluminum shell , a dark gray back and lighter borders. The assembly and finishes are neat and the integrated kickstand has been reworked for stability. This allows to adjust the inclination of the screen when used with the keyboard but also to support the tablet otherwise. The chiclet keyboard is attached to the tablet via a magnetic attachment and comes to protect the screen for transport. It is backlit for easy typing in a dark atmosphere. Acer announces that it has boosted the autonomy of its Swift and gives it 10.5 hours of endurance. Given the size of the battery and components rather greedy energy, it is more realistic to leave on 7 hours to 7:30 in Web browsing with active WiFi. It is satisfactory. 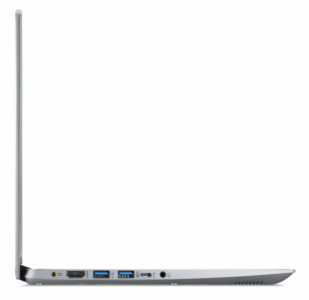 Master piece of this ultrabook, the Quad HD IPS screen is welcome with its large display density. Indeed, its definition HD Quad (2160 x 1440 pixels) allows access to the Very High Definition and to modulate the display convenience (juxtaposition of windows, magnification of characters …) without losing sharpness. Its 3: 2 format lends itself very well to the office and a little less to the reading of films while its technology IPS opens the viewing angles and displays a faithful colorimetry. Limiting use outdoors because of the reflections it causes in strong ambient light, the shiny surface(inseparable touch) has the advantage of giving a little pep to the colors. Finally, for those who want to keep a clean screen, an ActivePen style is available as an option. The ultrabook also hides athletic performance in favor of office productivity. Its low-consumption Core i5 Kaby Lake, backed up by 8 GB of RAM, will allow you to easily navigate the Web, work on Office with calculation, play videos or use a little more demanding software such as Photoshop (lightweight). ). All while keeping a comfortable maneuvering room in multitasking . But the real actor in terms of fluidity remains his dedicated SSD of 256 GB . Thanks to it, the system is particularly responsive, the file transfers are brief and the current use becomes more harmonious, without latency. In addition, its capacity though limited still allows to house a small part of your toy library. For the rest, it will be necessary to use an external storage solution or online storage. Connectivity is never very generous on this type of PC. 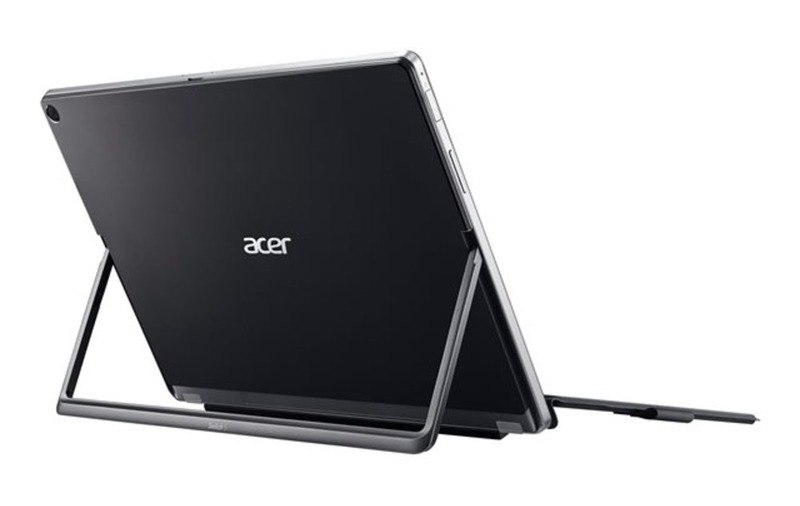 However, the Acer Switch 5 SW512-52P-58EN provides a micro-SD card reader and two USB ports including a USB 3.0 and USB 3.1 Type-C (Gen1). The latter, fast and versatile, supports the majority of missing interfaces (video output, Ethernet …) via dedicated adapters. A fingerprint reader appears on the Power button, a plus to secure and facilitate access to its session. 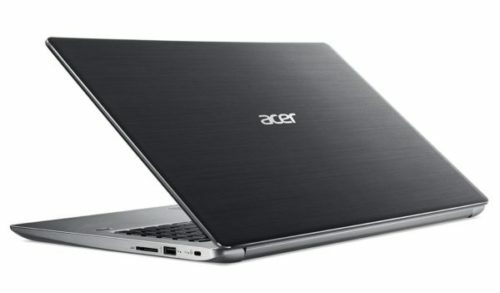 Finally, Acer had the good idea to preserve the cooling system AcerLiquidLoop (liquid cooling) for passive heat dissipation and total silence. In addition, we can see a slight gain in performance thanks to this technology.